Windows/Mac: I casually mentioned the existence of Emojicopy the other day in one of our secret Lifehacker chat rooms, and I was surprised to find that nobody else had ever heard of this site. Which then got me thinking: How do most people hunt down emoji to drop into messages, blog posts and other important documents? Sure, you can insert emoji the manual way via Windows or Mac, but I've always kept Emojicopy as a front-and-centre bookmark in my browser. On my Mac, I always tend to forget the Control+Command+Space shortcut to bring up the Character Viewer. That, and Emojicopy makes it easy to copy a string of emoji - like one of those "here is me saying what we'll be doing but using silly little images to do it" things you send to your friends - whereas the Character Viewer only lets you insert one at a time. Meh. Over at Emojicopy, all your potential picks are organised into eight different categories, and are all searchable. Also, I like that the emoji themselves are pretty big. My eyesight is great and all, but it's just lovely to have larger emoji to look at than what you'll find using your operating system's built-in character tools. Using Emojicopy is easy: Click on what you want to copy and it will appear on a little bar at the bottom of your browser. Load up a full "emoji phrase", for lack of a better way to describe it, and hit "copy" to do just that. Then, just paste your emoji into whatever it is you're working on: A love letter, your resume, an angry screed, et cetera. 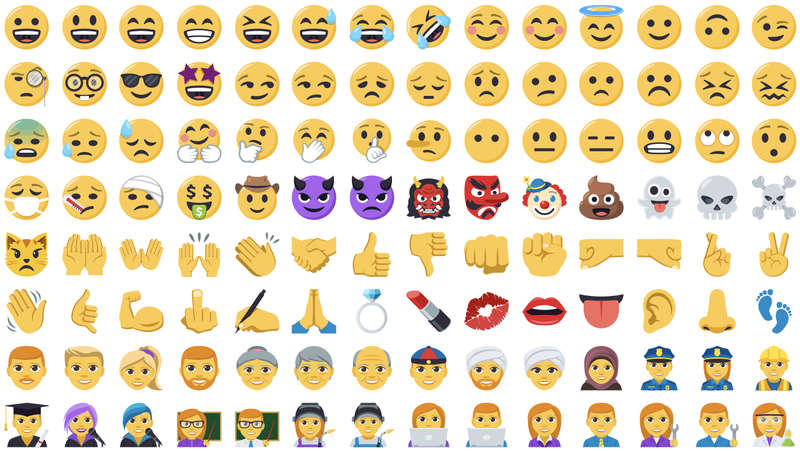 Emoji are a mess - there are simultaneously too many and not enough. Too many of the same thing, and not enough different things. I was looking for a magnet the other day - you know, one of those super common things we've all been familiar with since we were kids? Nope. no magnet. Thankfully there are 8 different options for a monochrome black/grey square in 4 different sizes. On Windows these days it's much easier than that. Win+. brings up the emoji picker which has similar categorization and is easily searchable and works in any text area, so the copy paste part isn't even necessary. Literally zero clicks.